If you are familiar with computer graphics, be it in movies or games, you have probably heard the term The Uncanny Valley. In short, the idea is that the closer you approach realism without reaching it the more striking the tiniest flaws become that actually cause the viewer to become more aware of the “falseness” of it. 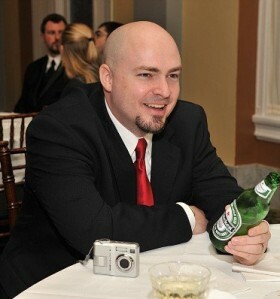 Often you’ll hear people talk about the “dead eyes” because they don’t blink or twitch enough, or problems with the way the mouth forms words not being quite right. For me, new games that try so hard to be super realistic actually result in me not wanting to stare at their graphics for hours on end. Even my current favorite game, Red Dead Redemption, has issues. Many of the people in that game look overly dirty, and most of the female characters are downright hideous. You could brush that off as “people were dirtier in the Old West” and that might be true, but it still doesn’t look right. That’s why most of the game is played pulled back behind your character. If it was first person and you had to look all these people in the face to interact, it would be very off putting. 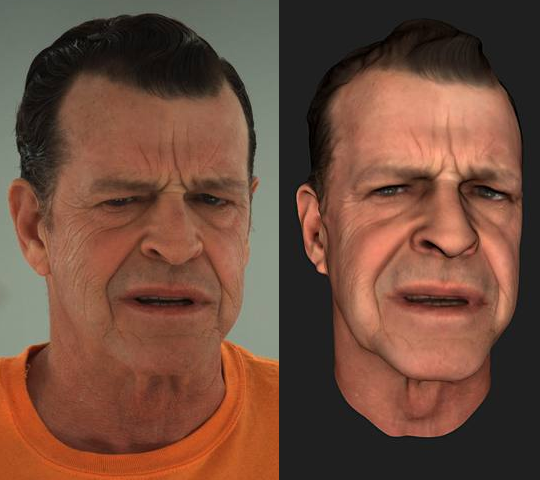 John Noble in real life and in MotionScan. It does look pretty damn impressive. This has me really looking forward to Rockstar’s L.A. Noire which is going to utilize this technology.